Coral Bells – Fantastic foliage color in spring and fall. Flowers bloom in late spring. Coreopsis – Beautiful yellow, red and pink blooms that will last from last spring till fall. They do not like moist soil let dry before watering again. Daylily plants – Day lilies are easy plants to grow from deep dark red to light pink blooms. Cut down during the cold season and they will pop right up in spring. Columbine – Easy to go grow perennial usually multi colored but some species are gold in color. 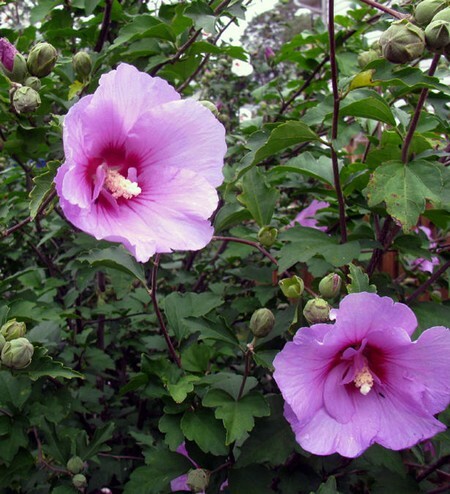 Rose of Sharon – Large purple, white, pink blooms from late spring until late fall in the southwest. Can be trimmed into a small tree. Salvia – Long spiky like blooms that shoot straight up beautiful reds, purple, violet blue and even white. Thyme Plants – Evergreen shrub with blue violet bloom all season long. Drought tolerant once established easy low maintenance plant. What are annual plants? They are plants that will complete their life cycle within one growing season. In other words if you plant pansies in spring they look spectacular however the mid summer heat will stress the plant. Replace pansies with another good summer annual such as Gazania’s, Daisies or Geraniums. Impatients – Bright colored blooms from reds to whites. 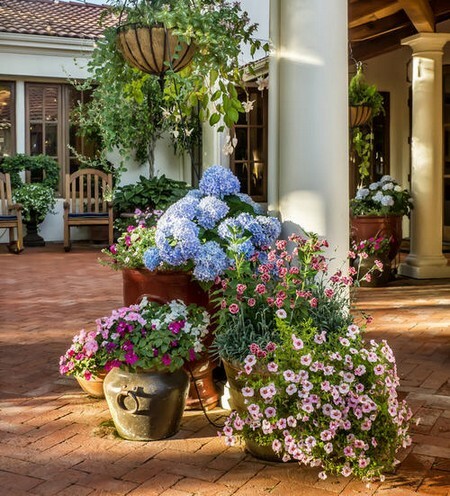 They do well in shady areas, including hot summer months. Cosmos – Beautiful yellow, red and pink blooms that will last from last spring till fall. Petunia – Excellent in hanging baskets or containers they like to be watered and fertilized often. Daisy – Easy care annual usually yellow with dark middle. 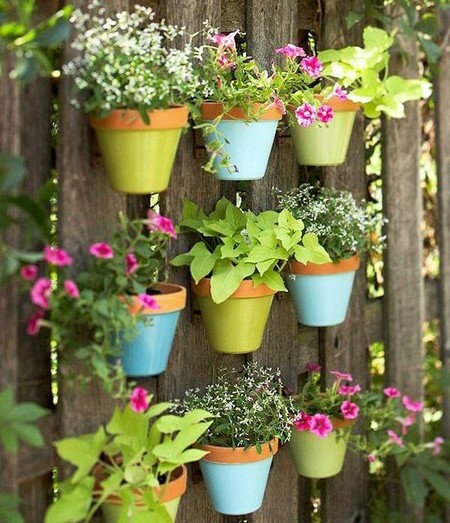 Plant them in full sun for good growth. Viola – These plants are actually pansies. Numerous multi colored blooms but with smaller petals. Coleus – Several species to choose from. They like shade and are grown for their foliage rather than blooms. 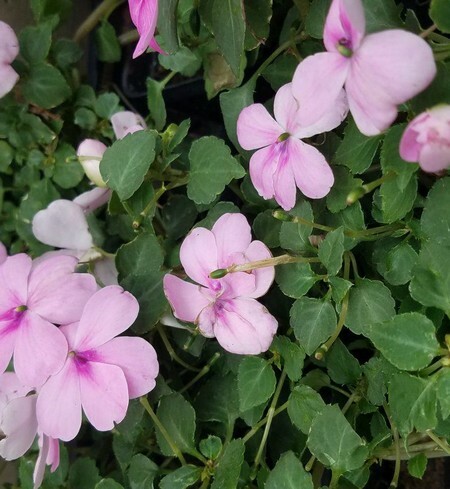 Geraniums – Perfect for flower beds, containers, and hanging baskets. They do not like temperatures below 30% Fahrenheit. Fertilize these plant at least once per month during spring through fall season.